May 17, 2017, 3:57 p.m. The latest YouGov/Times voting intention figures sees voting intention for the Conservatives down significantly to 45% (from 49% at the weekend). 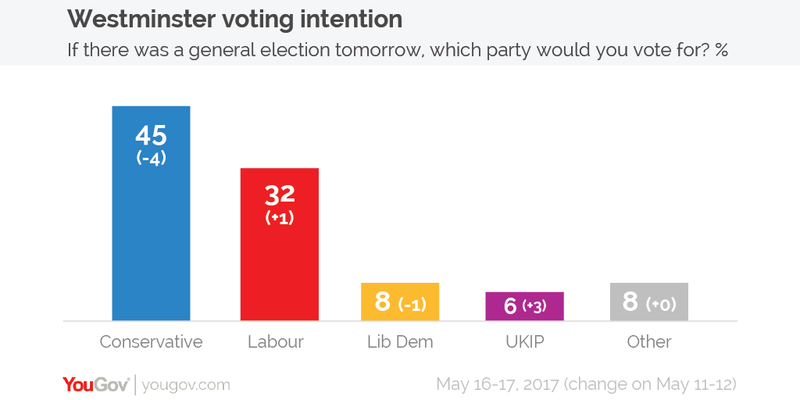 Labour meanwhile are on 32% (from 31%), giving the Tories a 13 point lead. Elsewhere the Liberal Democrats are on 8% (from 9% at the weekend), UKIP are on 6% (from 3%) and votes for other parties remain at 8%. Theresa May continues to be the favoured choice for best Prime Minister, on 46%. 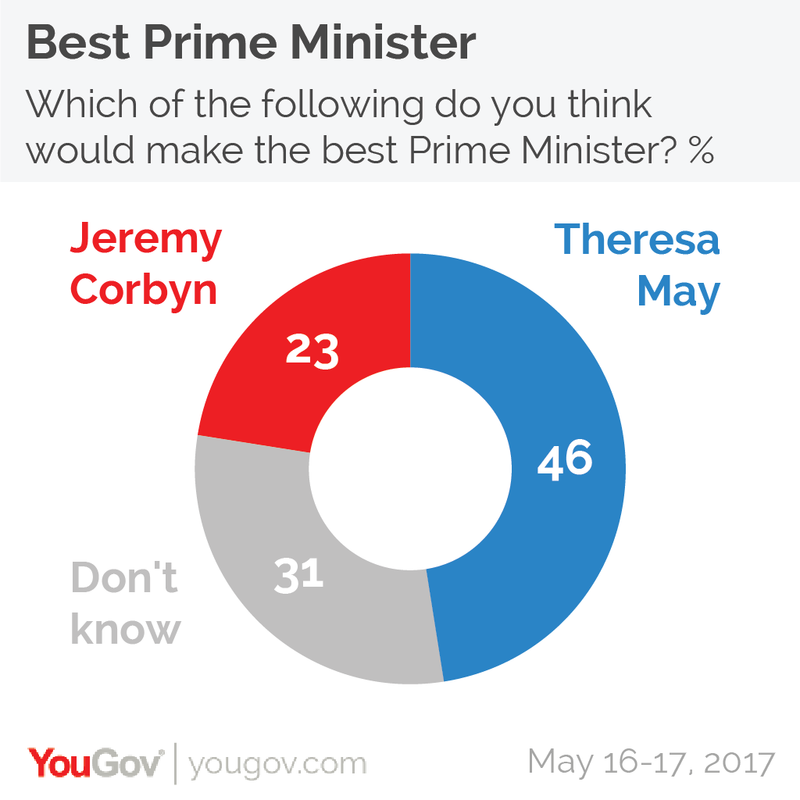 Jeremy Corbyn is currently backed by 23% of voters, whilst 31% don&apos;t know.